Investing in gold can be done in many different ways, and each method will have pros and cons involved. Is it a good investment? If you are like most investors the answer is yes, when you take the time to do the needed work and determine the right investment choices for your specific circumstances and goals. Gold bullion prices have gone up a lot in the last few years, and this has caused many investors to go crazy and invest simply because the choice is related to precious metals, and for no other reason. There is no denying that gold as investment has been profitable through many centuries, but not all gold choices are equal or wise. Pros: Investing in gold through coins, bars, and other physical forms is a great way to keep your capital value and preserve your money in a very liquid way. Gold bars or gold coins investment may have some cons though if you buy in large quantities, because then you may have to worry about storage and security issues and fees. 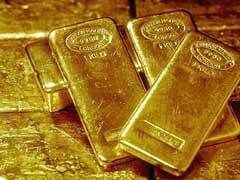 If you do not want to take physical possession while investing in gold bullion there are other options. You can open a gold account, where the value of your account is kept as physical bullion in a secure vault. These accounts may have high initial investment amounts or charge storage fees as well though. If you are interested in investing in gold you can also choose stocks or a gold ETF or mutual fund. These choices may involve higher risks than certain other options, but for some investors they can be a good fit. Gold investment funds can include a diverse portfolio that can help you lower the risks involved, but you should compare possible fund choices before making any final decision. Cons: Just like with any form of investment there are cons. The main con is added fees and lots of them: there are fees attached to owning this metal at the begging, middle of the way and at the end of owning it. First when you buy, you have to pay dealer premium fees to take physical possession of your prized bullion, then you most definitely have to store it somewhere which may entail some fees as well. Finally, when you decide to sell your investment, there are also dealer charges to deal with and, of course, capital gains taxes. “Collectibles” bracket that bullion is categorized as is taxed at 28% rate. The actual pros and cons of investing in gold will depend on the investment choices you make and the types of investments you prefer.